Mahatma Night Degree college has started the first Certified Course on “Certified GST Tally Expert Course” in the academic year 2017-18 for our college students. The course was started in the month of May 2018 and the duration of the course was 40 hours. This course was started in association with Satyam Computers Pvt. Ltd. 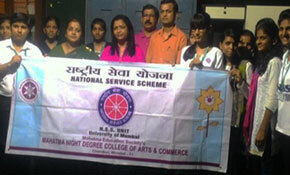 The total two batches were stared with 47 students. The timings for the first batch was 6.00 p.m. to 7.30 p.m. and for second batch it was 7.30 p.m. to 9.00 p.m. The course consists of Tally ERP 9 along with GST which was taught by Mr. Sandeep Malusare, the Proprietor of Satyam Computers Pvt. Ltd. All the two batches were successfully completed in at the end of June 2018. College decided to hold the function to distribute the certificates and congratulates all the students who completed this course successfully. Therefore, the function was arranged on 21st August, 2018 at 6.30 p.m. Onwards. The certificates were distributed to all the students who successfully completed and passed the Exam. But 5 topper students were given medals also for their great achievements in the exam. 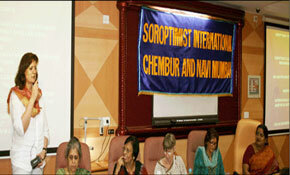 For this function Mr. Vinay Sawant was invited as a Chief Guest. He is working as Mukhyamantri Mitra, Mantralaya, Mumbai. He spoke to the students for their course and the importance of the course. He promised all the students that he will contact some companies for their placement with good job profile. Mr. Sandeep Malusare arrange one game for the students. The game was based on their course, where one batch were allowed to ask question to other batch and vise versa. 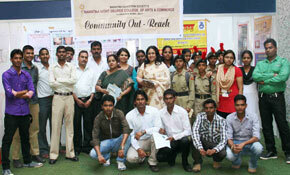 The winning batch was given a cash Prize of Rs. 1,000. This game helps them to improve the confidence amongst the students. Certificates were distributed in the hands of Mr. Vinay Sawnt, Principal Dr. Padma Rangan, Dr. Lata Krishnan, Dr. Eknath Zhrekar and Asst. Prof. Tushar Pawar. At the end of function snacks was also provided to the students.